Interviews were graciously given to www.countryfarm-lifestyles.com by various prominent members of the farming, gardening & food community. We thank them for their time and effort they made in granting these, and the added insight that it will give our readers into their specialized fields. People who were interviewed are either pioneers of various food, gardening or farming practices or, specialists in their field talking about practices that are followed by the companies they represent. We hope that you will enjoy reading their answers to our questions, and if there are other farming, food or gardening experts whom you would like to hear an opinion from, please drop us a line through our Contact Us page and tell us who you would like to hear from, and what questions you might like to ask, and we will see if we can accommodate your request. With a Ph.D in Agriculture, and a former lecturer with the University of Agricultural Sciences, Dharwad, Dr. Vishwanath says anyone with even a tiny patch can grow vegetables. He pioneered the concept of organic terrace gardening in Bangalore, India. Dr. Vishwanath is a freelance consultant on organic terrace gardening and regularly holds training programmers with those who have terraces and would like to grow either cash crops or organic vegetables on their terraces and roof-tops. 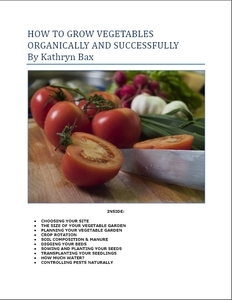 To find out more, read our Terrace Gardening Interview. Farmer of Polyface Farm in Virginia Joel - A man on a mission, a rebel with a cause, a lobbyist against food laws and bureaucratic decisions for the food industry that don't make sense. He is out there championing your cause. Joel Salatin is currently the most influential farmer in America and a crusader of holistic, natural farming and an advocate of being a steward of the land. 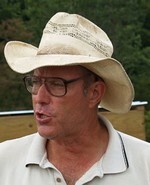 Read more about Joel Salatin here.